LASSIG’s 'Little Water' tableware set with bamboo scores with its functionality, sustainable materials and little whale desgin. The dish set set is dishwasher-safe and ideal for children from 12 months and up. 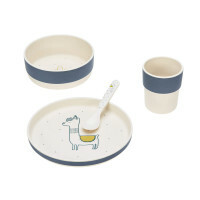 Product information "Dish Set with Bamboo, Little Water Whale"
In love with nature: LÄSSIG’s bamboo tableware set Little Water with the little whale is ideal for small foodies. 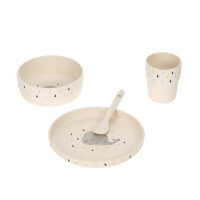 A plate, a small bowl, a mug and a spoon belong to the light, dishwasher-safe tableware set. The set is made mainly from the renewable, sustainable raw materials bamboo and corn and includes a certain amount of melamine. Perfectly suitable for children 12 months and up. The plate, small bowl, mug and an additional sippy cup with two side handles and a sipping nozzle can be purchased separately. The products in the collection 'Little Water' are adorned by the magical swan and the little whale in a combination of bright trendy colors and delicate accents. A real eye-catcher. The tableware with bamboo scores not only with its sustainability and its light weight but also with its stability. Tableware with bamboo although not unbreakable, survives a fall better than its porcelain or ceramic counterparts. 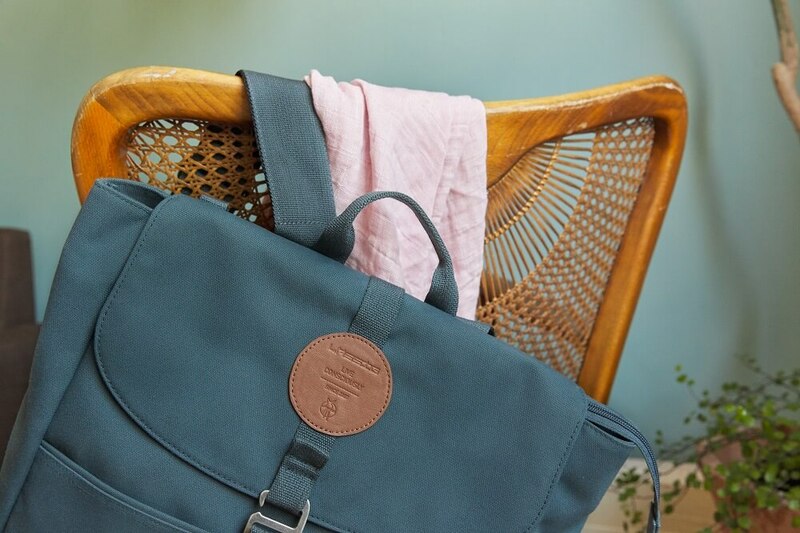 Perfectly suited for use at home, on the road, at a picnic, for a family outing or camping and provide the perfect alternative to disposable tableware. Ideal for cold and warm dishes as well as beverages. The Children’s tableware with bamboo is dishwasher safe, but not suitable for the microwave.